What are the benefits of purchasing packaging machinery? Investing in packaging machinery has numerous benefits for your company’s production process. The ultimate goal of this type of investment is to realize increased product sales. This occurs with the uniform packages that are produced at a higher rate as a result of automation. Utilizing packaging machinery as opposed to packaging by hand can greatly improve your production efficiency and effectiveness. With machines doing the work, production is not subject to human error. Also, automation is oftentimes more cost effective than manual labor. To explain, companies that choose automation may have the ability to realize a 100% return on their investment within two years. For conversation sake, if you spend $60,000 on a piece of packaging machinery instead of paying $60,000 for two workers’ annual salaries, your investment would pay for itself within one year, and you’d save your company $60,000 in expenses the following years. Furthermore, less waste is produced compared to what results from manual packaging because the allocation of product and packaging materials can be more precisely controlled with automation. For example, much less film is wasted when a packaging machine is used as opposed to hand packing because a machine is able to allot for the exact amount of film needed. What does the buying process look like for packaging machinery? 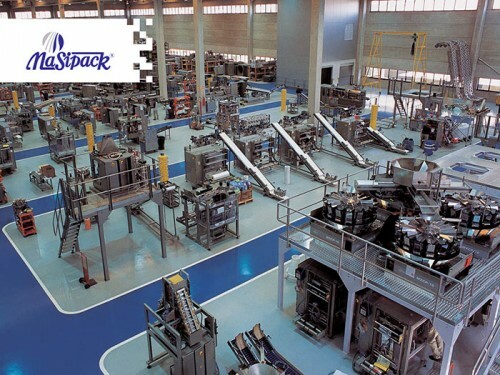 The packaging machinery buying process involves first researching the providers available to you by searching online, calling them, learning about the operations of other companies in your industry, attending packaging and processing trade shows, and visiting the providers’ showrooms in person if possible. Some companies can even arrange for you to visit a customer’s facility so that you can see an example of machinery in action in a live production environment. Once you have explored all of your options and have selected a machine, you can request a quote. You may then engage in a negotiation with the provider. Once a price is agreed upon, a purchase order is issued, and a sales agreement is signed. At this point, you will enter the lead time period and/or manufacturing stage. If the provider has your machine in stock, then the lead time will really be up to you, and when your plant will be ready to receive the equipment. If the machine is one that needs to be built to particular specifications, then your lead time will encompass manufacturing time as well, which is dependent upon multiple factors, such as where the provider’s machinery is manufactured, and current inventory of the machine’s various components. When the machine is ready for delivery, you’ll enter the installation and training stages. Installation can take anywhere from one day to nearly a week, dependent upon the size and customization of the equipment being installed. The training of machine operators by the provider’s technicians typically occurs over a one- to two-day period. Some big projects can take much more time. What should I be aware of when buying a new packaging machine? Purchasing packaging machinery is a very wise investment for your business if you are looking to increase your output rate and production efficiency. Doing your homework when exploring your options is paramount. You want to choose the machine that best fits your specific production needs. Buying a packaging machine is an investment that is sure to benefit your business for years to come.